My name is Mary Shi. 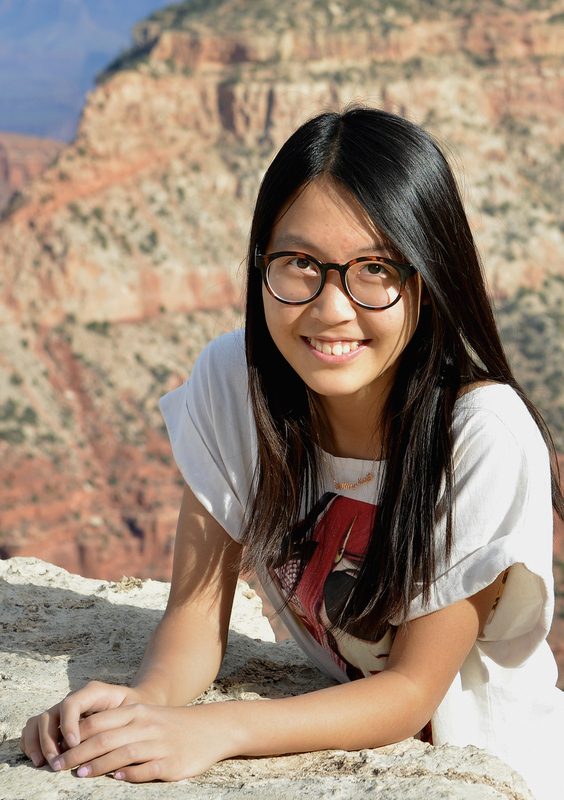 I come from Beijing, , and I am currently a sophomore at Mendoza College, double majoring in Accounting and Spanish. I started learning Spanish since my freshman year here, and fell in love with the language immediately. At Notre Dame, I am a member of the Skating Team. Four times of practice a week and competitions on weekends make my life super busy and fulfilling, and teach me how to manage my time more efficiently. I am also involved in the MSLA, working to create a better community for the Mendoza undergraduates. College is a wonderfully diverse society. The Notre Dame community provides me with a vibrant stage to interact and communicate with people from all over the world. My shared experience with peers and faculty has stoked the fires of my academic interest in Spanish language. To this end I have made Spanish my supplementary major. As a result, I would love to use the opportunity afforded by an SLA award to study in Chile, in order to further strengthen my language skills. After graduating from Notre Dame, I would love to pursue a career in a multinational business enterprise. Therefore, I wish to take advantage of my language skills in my future job, working on the collaboration among different companies in Latin America, North America, Europe and Asia. In order to achieve my long-term goals, it is important to continue my language education upon return to Notre Dame. I will definitely keep taking the higher-level Spanish courses to hasten the advancement of the language. And I will finish my Spanish major, expecting to be fluent in using the language. Furthermore, I would like to attend the Spanish club activities and bring my exotic experiences back to the campus. The program I will attend this summer is a 5.5-week Spanish Language program with 90 contact hours with faculty members, and all courses are taught in the local university— Pontificia Universidad Católica de Valparaíso. From my previous experience in Spanish study, I believe the best way to learn a language is through the intensive use of the language and the daily conversation with native speakers. Being immersed in the Spanish environment for a comparatively long period of time, I expect to gradually and strongly improve my Spanish proficiency to the advanced level in reading, writing, listening and communicating. Besides the coursework, the interaction with local college students and homestay family is essential to reach my goal as well. I can see myself talk with people in Spanish with more confidence and richer content throughout the program. I would also love to gain a lifelong friendship with local chilean students and other students from the program, and enjoy the different cultural experience in Chile. By the end of the summer, I will be able to communicate in Spanish with native speakers confidently and more fluently on academic topics and current news happened in Latin American countries. By the end of the summer, I will be able to start reading books and literatures in Spanish, and discuss the theme and content with others. By the end of the summer, I will be able to speak, read, write and listen at a level of proficiency equal to a semester beyond my current Spanish coursework. My program is held at Pontificia Universidad Católica de Valparaíso, and all courses are instructed by host university faculties through a concise and coherent class schedule. Since my main goal is to master the Spanish language, the program offers a good length and amount of time to thoroughly learn the language while experiencing a different culture in Latin America. Because the international student body is just under 2% on campus, I will use this great opportunity for complete immersion with Chilean students and improve my spoken Spanish during daily conversations. I will complete two full years of college-level Spanish at Notre Dame before I go there. Therefore, I plan to take the “Communicative Grammar” course and “Conversation and Chilean Culture” course. Small class sizes afford individual attention to each student. This creates an atmosphere conducive to independent thinking and free discussion in Spanish. I will try to always speak up in class and use Spanish whenever I can. I would also love to talk with the professors after class about the different perspectives in Chilean life to help me better understand the country and sharpen my Spanish proficiency.